Festival Hair-styles you must try this spring! The temperatures are getting warmer, which means spring is here and summer is fast approaching along with festival season! And you know what that means; festival hair! Surprisingly enough, some of the hottest hair trends right now are perfect for festival hair. 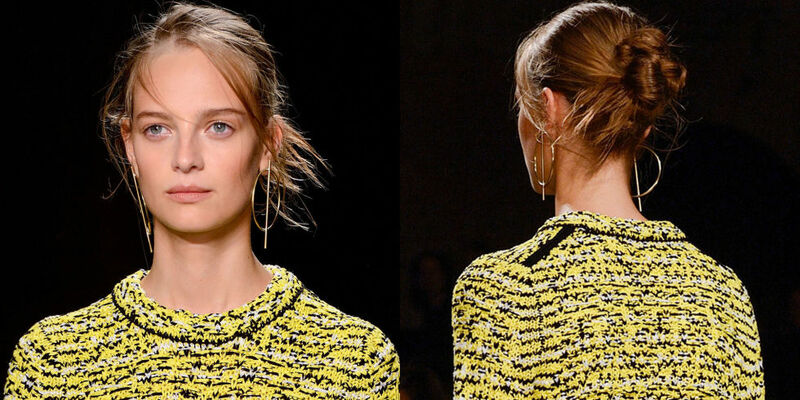 Hair is definitely becoming more low-maintenance, so having trendy hair is simple and easy. There’s no point in over-styling your hair when you’re rocking out to your favorite bands all day in the summer sun. So I have three festival hairstyles that’ll hold up during a day of sunshine and dancing, and if they don’t, well – at least they’re meant to be “undone” to begin with! Puns aren’t just ridiculous and creative jokes you can make; they are also a fun, modern hairstyle that’s easy to achieve and looks so cool. This festival hair idea is literally going to take seconds of your time. You can even throw your hair into a pun when you’re on the road to the festival! It’s essentially a roughly tied bun that allows bits of hair to stick out from the pony, and can be as messy as you want it to be. The Kardashians have been spotted all around town sporting braids, so of course, that means it’s back as a trend. You can do a traditional French braid, or keep it easy with pulled, loose braids. It’s another easy hairstyle that will take minutes to do, and will keep your hair out of your face while you’re enjoying the festivities of concerts and socializing. I think a loose, side braid or fishtail braid that’s pulled out with stray hairs is very cute for festival hair. 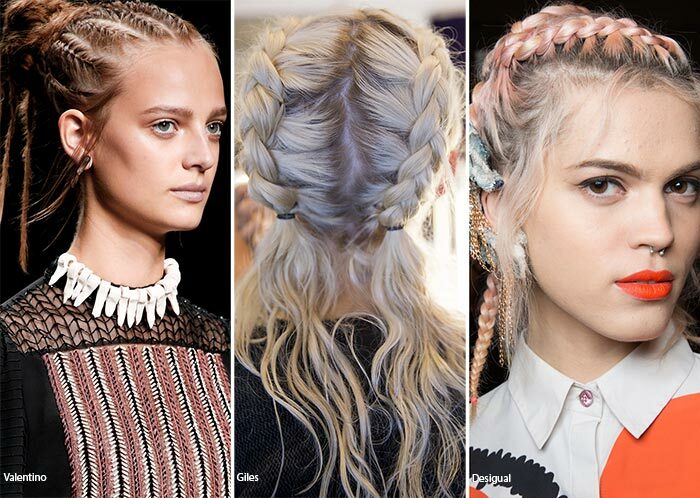 You can even add some tiny braids to your hair when it’s down – really, the options are endless! Floral headbands and elaborate headpieces are a must when it comes to festivals! Luckily, they’re super trendy right now so you can find one almost anywhere. Even adding just a simple clip that will also pin back your stray hairs and bangs is very fun for festival hair. Add a little floral or decorated headband to one of the other two festival hair ideas I mentioned and you’re an instant boho babe. Are you going to any festivals this summer? Let me know in the comments, and share with me your go-to festival looks! I can’t do braids! Haha! ? 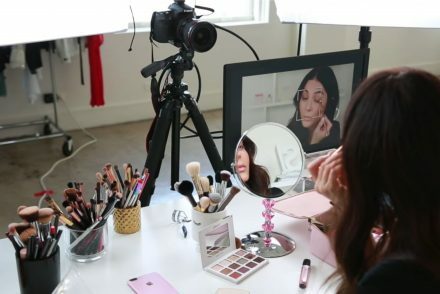 Can you do a tutorial? Thanks! Btw… I am subscribed to your newsletter, but it seems that I am not reciving anything, am I doing something wrong? Thank you so much for subscribing to my newsletter Raquel. We’re currently going thru some changes and will start a weekly newsletter soon. It def. takes some getting used to. I’ll have to film some hairstyles for sure. That’s still hard for me too! It takes forever. I so wish I had longer hair!!! Grow hair grow!! But short hair is so on trend now. Embrace it Sarah! Kisses! Thhe toools and manpower must be unfold all through the bodily premises of the enterprise. I just recently got the two Dutch braids down so that will be definitely be my festival hair!! Also, I recently tried your almond butter, banana berry recipe for breakfast and omg it has changed my life!!!!! I used to skip breakfast everyday but not anymore!! It’s so good and so easy to make ???? Hi Sona!! I love this hair styles they are amazing!! thank you so much for sharing this with us, #snapchatfam Love you!! Please, can you suggest looks and accessories more affordable, if you want that people like me continue to follow you. But thank you for your work and for sharing your experience with us, it’s a real pleasure, you’re a beautiful and funny woman. A tutorial on braids please!!!!!! You inspire me with your style. Love yaaaa!